Opening the fuel filler cap every time you had to check how much fuel was left in the tank or would it just be enough for you to go to the next petrol station and you had a task to ride there maintaining a constant speed but the speedo on your motorcycle gave up and you were stuck. Can you relate? Yeah, me too. Those were the days when motorcycles did not have instrument clusters which gave away accurate information or just didn’t have one. The present generation motorcycles come equipped with good looking, highly informative instrument clusters for the betterment of the rider. 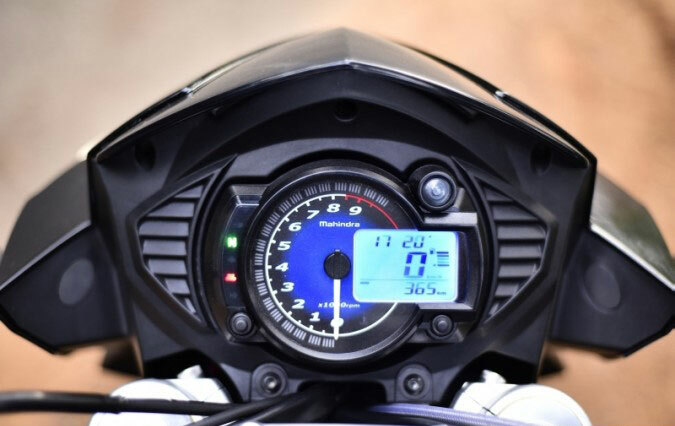 We have gathered information about different instrument clusters available on motorcycles in India and what they offer. Bajaj has made revolutionary bikes in the past years and one motorcycle that created a benchmark was the Bajaj Pulsar. 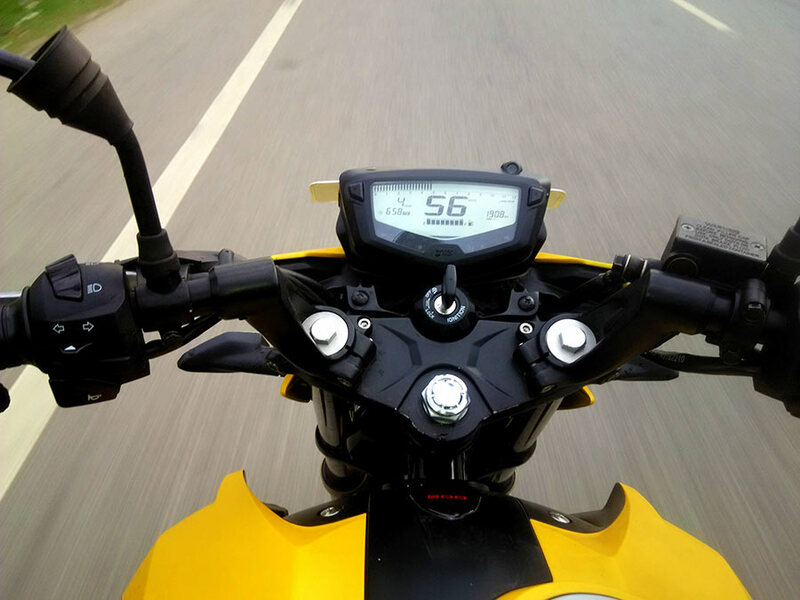 Bajaj came up with the Pulsar NS 200 and the RS 200 which share the same instrument clusters. It has a semi digital console which has a speedometer, tachometer, fuel level indicator, trip-meter, odometer, engine oil level indicator, RPM limit blinker and the AS 200 also gets a side stand indicator. 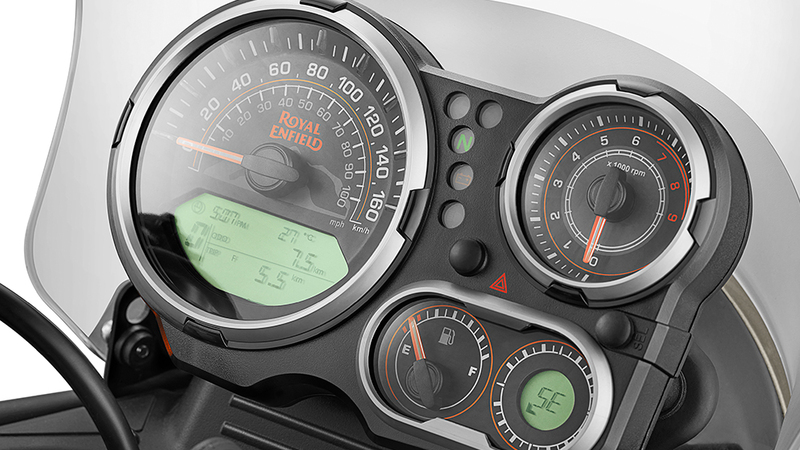 KTM motorcycles in India have the most informative instrument cluster. They look small but are loaded with information. It has an all digital instrument cluster which has a clock, speedo, tachometer, two trip meters, odometer, service due time indicator, fuel consumption, engine temperature bar graph, fuel economy, fuel required for 100 kms, you can also change the km/hr to miles/hr as per your convenience, gear shift blinker, you can also alter your gear shift RPM as per your requirement and a whole lot more. ABS can be turned on and off on the Duke/RC 390. RE spent a long time in R&D for the Himalayan and finally got us an amazing motorcycle that does its job brilliantly. Now when RE spent so much time, they sure would have thought of giving this bike a unique instrument cluster to support its off road tourer religion. It gets a semi digital Instrument cluster which has a fuel level indicator speedometer, tachometer, trip meter, odometer, gear position indicator, time, temperature reader and also a compass. The whole setup looks simple and elegant with adequate information. TVS Apache RTR came in as a big step in the 200 cc segment for TVS. RTR’s console offers great readability and nobody would complain about it. 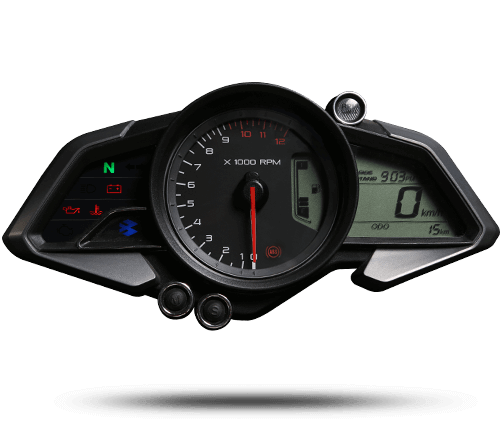 The bike’s instrument cluster features a fuel level indicator tachometer, speedometer, odometer, two trip meters and a clock. It also includes top speed indicator, gear position indicator, lap timer and an acceleration timer. Royal Enfield is know for making classic, old school motorcycles which helps them stand out from the rest. Royal Enfield still believes in keeping their classic a ‘classic’. Maybe this is the reason for their not so informative console. The classic gets an analog speedometer, odometer, turn indicator blinkers and neutral gear light. Extra feature in the Classic is the battery charge level analog indicator. And that’s it. That’s all it gets. 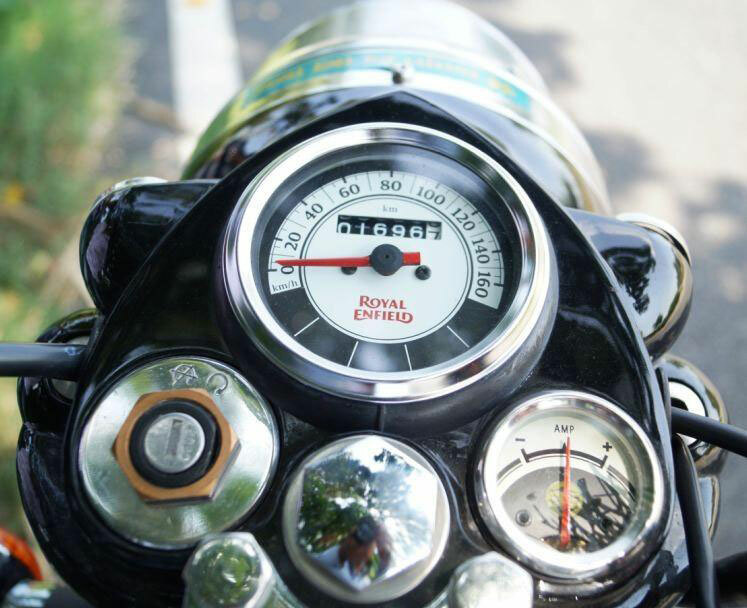 Royal Enfield Thunderbird might be a level higher than the classic in terms of instrumentation because it gets a semi digital console with LCD display. Speedometer and an tachometer are analog type and the LCD displays fuel level indicator, time, two trip meters, odometer and also the average speed. Known for making agile and sharp track focused bikes, Yamaha got us their mean looking R3 packed with a good engine that impressed a fair bit of people. 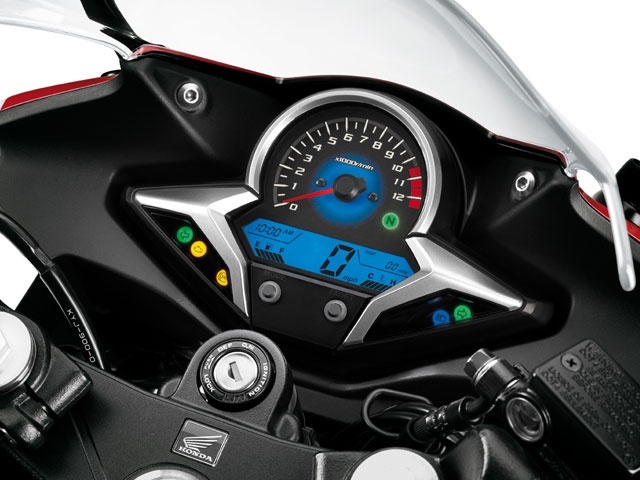 R3 gets a spider webbed design semi digital instrument cluster. Its quite informative too. Gets a clock, analog tachometer, speedometer, two trip meter, gear position indicator, gear shift indicator, fuel level indicator, average fuel consumption indicator, engine temperature graph, oil change meter and an odometer. 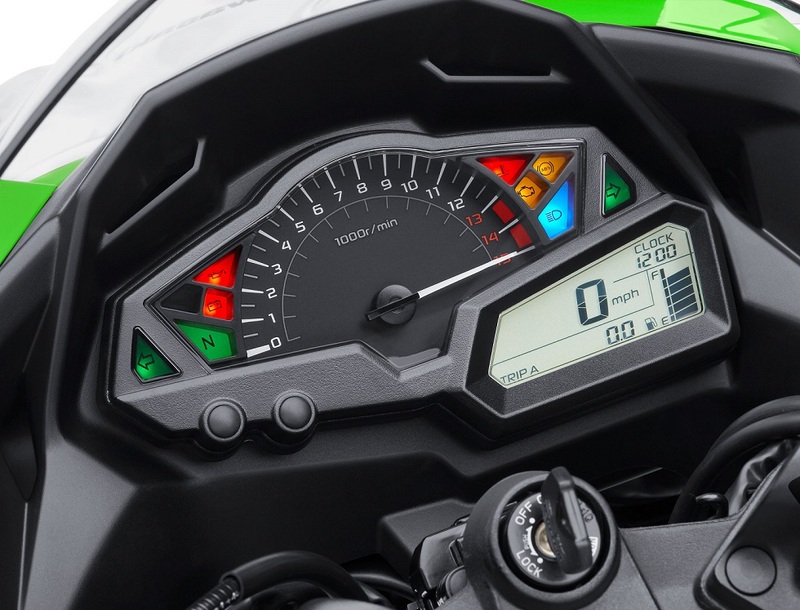 Neatly separated analog and digital console is what is on the Ninja 300. Tachometer is an analog type and the speedometer, two trip meters, odometer, clock and fuel level indicator cover the LCD display. Gets an engine oil light, ABS light, engine and temperature blinker. There is one very important motorcycle that Honda bought here to India back in 2011, the Honda CBR250R. Honda had guts to introduce a quarter litre engine sports-bike in India while nobody else had done it. 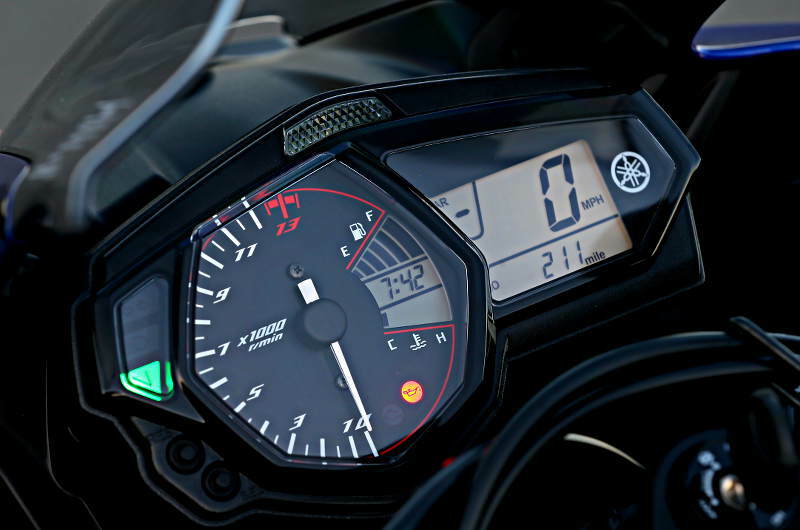 The console on the CBR250R gets digital speedometer, trip meter, odometer, engine temperature indicator, fuel level indicator, clock, fuel level indicator and engine temperature graph. CBR250R gets an analog tachometer as well. Mahindra Mojo was under development for 5 years. Mojo was bought to us as a tourer and the bike performs really well on the highway to earn the tourer name. 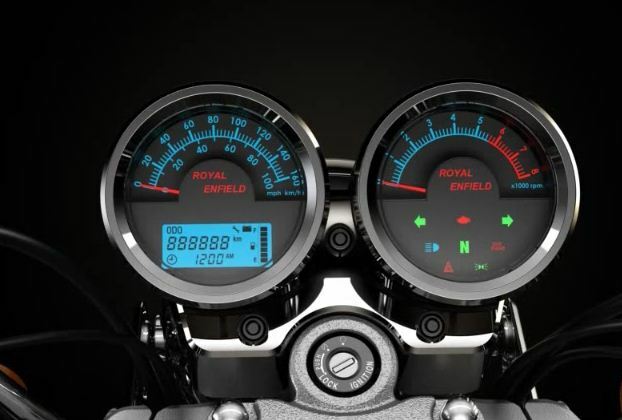 Like most of the bikes, Mojo also gets a semi digital instrument cluster. Unique part about its console is that it gets red following lights for the analog tachometer. 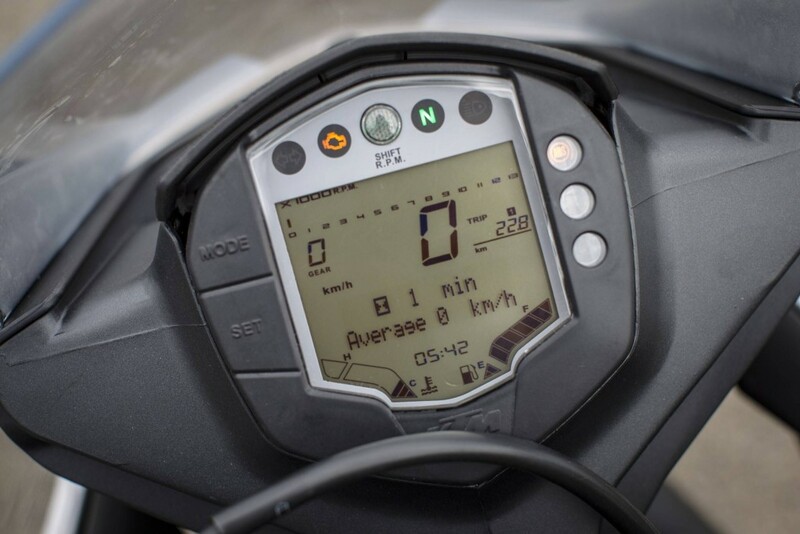 Digital speedo, trip meter, odometer, fuel level indicator, clock, top speed indicator, 0-100 km/hr time but does not get a gear position indicator. If we have missed out on any, please do let us know and we will update it. Follow us on Facebook, YouTube and Twitter for more such articles.